With ballots from 80 percent of Russia’s precincts counted by early Monday, Putin had amassed 76 percent of the vote. 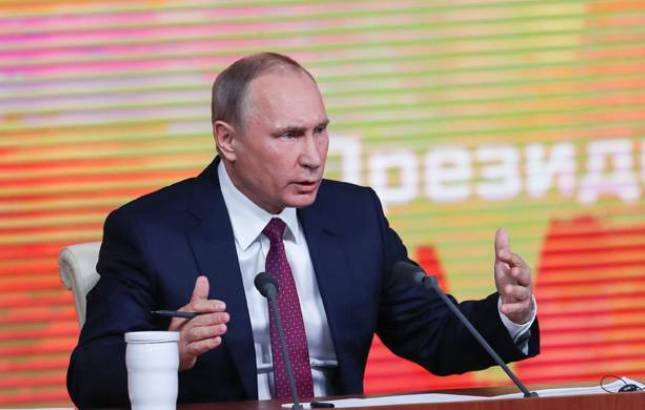 Vladimir Putin won the Russian presidential elections with a landslide majority on Monday. Putin is set to be re-elected as president of the Russian Federation for another six years. His fourth term as president will extend until 2024, making him the first Kremlin leader to serve two decades in power since Josef Stalin. With ballots from 80 percent of Russia’s precincts counted by early Monday, Putin had amassed 76 per cent of the vote. As the embodiment of Russia’s resurgent power on the world stage, Putin commands immense loyalty among Russians. More than 30,000 crowded into Manezh Square adjacent to the Kremlin in temperatures of minus-10 degrees (15-degrees F) for a victory concert and to await his words.